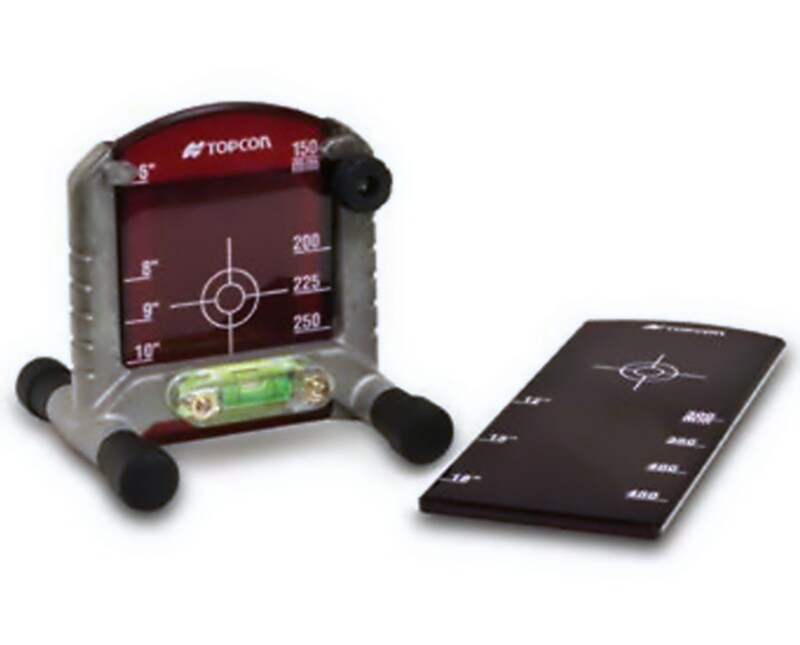 The Topcon Target Kit 56928 works with red beam pipe laser to easily align its laser beam. 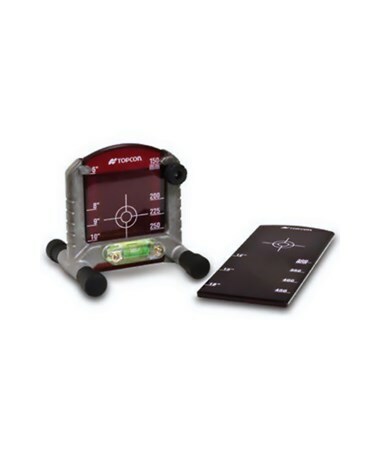 This target kit contains a base with a built-in level as well as an adjustable target. 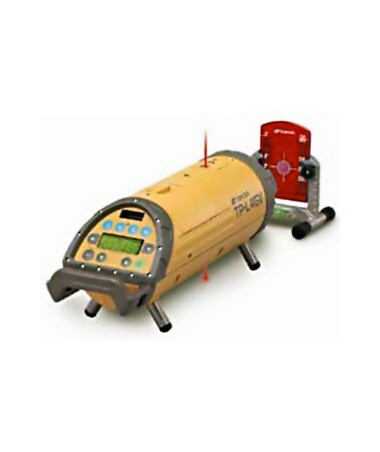 The pipe lasers use the target kit by scanning to find the target's left edge and right edge. With this information, the pipe laser is able to efficiently center its laser beam.